The first time I heard about citizen science it was all ET’s and SETI. It was acronyms and geeks from around the world, tuning in their PCs to listen for distant noises and sounds from another galaxy, another universe. That was the 80s, and the first time that the world became aware of the possibility of harnessing collective human curiosity, without the white coats and university degrees, to gather data whilst tapping into our collective need to be part of a tribe. Part of something big, something great. SETI couldn’t be further away from here if it tried. A tiny dot of 56 sqm in the Tasman Sea, 600 km from Sydney, 1.5 hrs by air and no lab coats in sight. 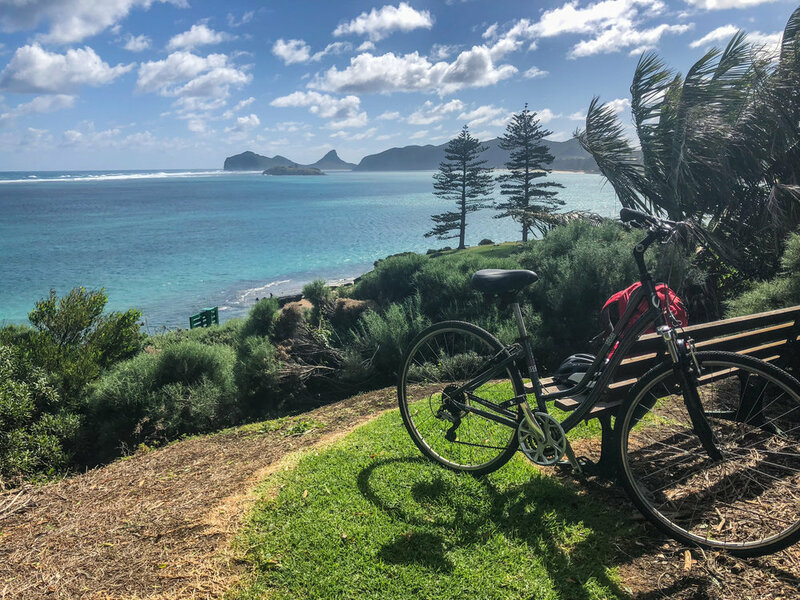 Lord Howe Island has been quietly and diligently harnessing this type of ecological tribal passion for many years, with 2018 bringing fresh enthusiasm in the creation of the Conservation Volunteers Lord Howe Island (CVLHI) program. A UNESCO World Heritage ordained island, this delicate environment is home to 350 permanent residents, (many of whom can trace their history back six generations), and never more than 400 visitors. Unless you’ve lived in an isolated small town it is difficult to describe how rich and deep these roots go, but scratch the surface and you realise it is fundamental to every breath, every decision, every sunrise and sunset. Almost as deep as the resident’s sense of belonging and ownership is the passion of the regulars for this place. It’s not uncommon for families to have been holidaying here for generations, often in the same week every year, like the classic Aussie caravan park booking, carried across year-to-year, with a staggering 88% of visitors being return guests. What draws them back varies, but for a high number of them, a love of the unique ecology of this protected island is the anchor that holds them fast. 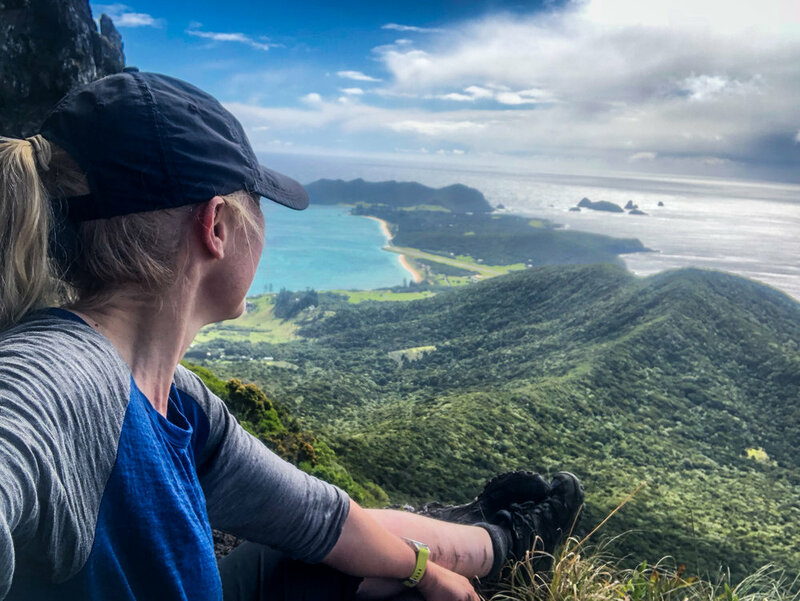 Not only is Lord Howe a bushwalkers paradise, but for birders or any number of people fascinated by the natural world (113 of their endemic plants are not found anywhere else), it is a kind of ecological Mecca. For visitors like this, those who appreciate the precious, unique and visually stunning environment, the opportunities offered by citizen science activities help them to not only connect to this special place in a richer way, but offer them the chance to give back and deepen their holiday experience. The 2018 citizen science program covers a broad range of topics with the aim of collecting data across flora, fauna and marine life activities. During my five-day stay, I was able to take part in Nocturnal Beetle and Snail Surveys (there’s some very rare snails over there and not a lot of nightlife! ), Intertidal Reef Monitoring (who doesn’t love walking amongst rock platforms at low-tide? 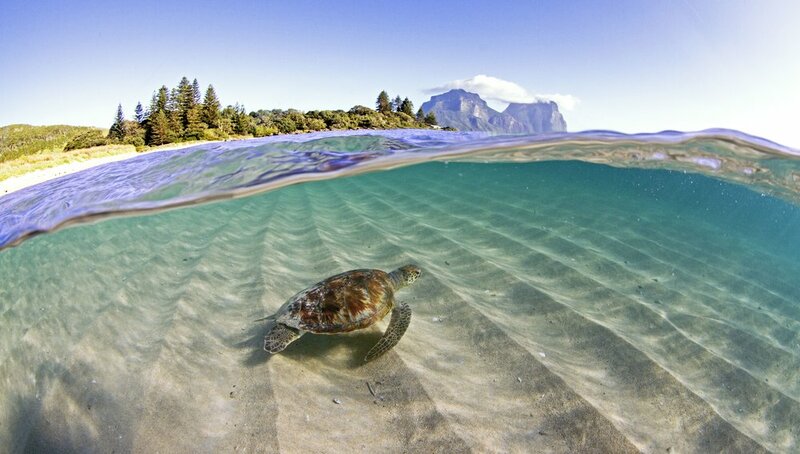 ), and be a part of the current environmental hot topic of Plastics Monitoring along the beautiful beaches and lagoon. For me, one of the highlights (and one of my secret green crushes), was getting to meet naturalist, photographer and resident Ian Hutton. He opened my eyes to the truth of what citizen science is. He believes allowing people to participate and contribute to science, thereby giving them a sense of purpose and belonging, is only the surface stuff. The heart of programs like CVLHI are education and communication. Using wonder, knowledge and connectedness to share the important messages of conservation, and thereby enlisting passionate advocates for protection and change. They certainly achieved these outcomes with me. In just one week, I not only hiked from one end of the 11 km long island to the other, ascending many summits along the way, but heard from experts and scientists in live lectures and films at the island’s museum. We are all seeking authenticity and meaning in our lives. With travel experiences like this one available, we can engage our mind and soul whilst stretching our legs, paddling the seas or simply sitting with nature. Caro from Lotsafreshair is one of Australia's top bloggers / vlogger when it comes to all things outdoors. She is passionate about using her experience as a Search Manager and Team Leader for Bushwalkers Wilderness Rescue Squad to offer support, inspiration, encouragement and advice to help others enjoy nature at its finest. Oct 8 Who is This Woman?